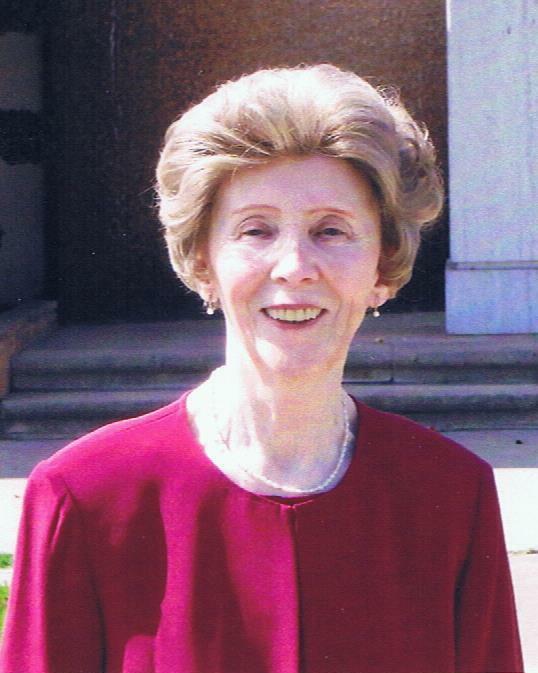 Catherine Leffin Proctor, 89, of Hazen, died November 7, 2014. She was born August 20, 1925 to Jean and Matilda (Hoen) Leffin in Eupen, Belgium. She attained a chemical technology degree in Aachen, Belgium in 1944. During the war she was employed as a chemist in a chocolate factory. She married C.S. Proctor on June 15, 1946. They settled in Hazen, Arkansas, and her parents soon joined them. She has two sons, Bruce Proctor (Pat) of North Little Rock and Charles Proctor (Sara) of Hazen. Catherine always worked in the family business. Their first enterprise was a gas station which included the bus stop and in 1949 they established Proctor Tire Service. She was an astute businesswoman and continued to work well into her 80’s. Catherine was an active member of St. Cyril & Methodius Catholic Church in Slovak. Her many activities included altar society, flower committee and making banners for the church. She was instrumental in promoting CYO and Search programs for Catholic high school students in Arkansas. As an adult sponsor,”Ms. Katie”, worked tirelessly to ensure the Catholic teens had opportunities to develop and share their faith with others. The diocese recognized her contributions with the For God & Youth Award in 1977. She enjoyed opera, ballet, and classical music. It was her delight to introduce many young people to these interests over the years. Catherine is survived by her sons, Bruce and Charles, and grandchildren, David, John, Christen, and James. Visitation will be Sunday, November 9th from 4 to 6 p.m. followed by a rosary at St. Cyril & Methodius Catholic Church in Slovak. Funeral mass, officiated by Rev. Phillip Reaves, will be Monday, November 10th at 10:00 A.M. in Slovak. Special thanks to Dr. Chris Morgan, Mr. Bobby Glover, and the staff of Chambers Nursing Home for their kindness and care during her final years. In lieu of flowers, memorial donations may be made to St. Cyril & Methodius Catholic Church or Alzheimer’s Arkansas. It is so sad to read that Mrs. Proctor has passed away in death. May your memories of her as well as a hope of being reunited one day – John 5:28, 29 – bring you the peace and comfort you need at this time. I recall with such fondness your mother. Katie was so kind to me and my brother, Buddy, when we visited Hazen. My mother coached the Leffins when they applied for natural citizenship. Please accept my sympathy with your loss. She was a remarkable woman. We are so sorry for your families loss. We enjoyed seeing Ms. Katie 3 or 4 times a week at Chambers when we were visiting Ronnie’s Mom. They ate at the table together and Ms. Katie’s room was across the hall. We will miss seeing her when we visit. Your family is in our thoughts and prayers. Charlie and Family: My deepest condolences on the passing of your wonderful mother! I have so many fond memories of her from our Search and CYO days in the mid to late ’70s! I spent many hours and days with Mrs. Proctor working on youth ministry projects with her. We drove around the state to Awakenings and other Catholic Youth events. She was always very gracious and welcoming to all of us. She was totally dedicated to the youth of the Diocese of Little Rock and her family and her faith. She was a truly Catholic Lady. I often reflect on how the Diocese of Little Rock could have gone down the wrong road ( as so many other dioceses around the country did ) without the strong and wise guidance of Mrs. Proctor and Father Joe Pallo. They and the other adult advisers and chaperones protected the youth and provided safeguards that are now seen as the norm. They were wise and prescient guardians! Mrs. Proctor was a very caring person who accepted you for who you were. She loved everyone from whatever socioeconomic background they came from. She treated everyone the same . White or Black or Brown we are all equal in God’s sight was her belief. May she rest in the Peace of Christ !!! My deep sympathies for your loss. Mrs. Procter was a wonderful, wonderful person. I thank the Lord for letting me know her during my years with the Search program back in the 1970′s. She and “Mama Turchi” were at everything our diocesan youth director Fr. Pallo was involved in. She provided a mature, loving presence during her many hours of Catholic youth work. I can just imagine that beautiful smile of hers when she sees her Lord whom she loved so much. May God bless Mrs. Procter and all the family and friends who are mourning at this time. Christ’s Peace be with you all.